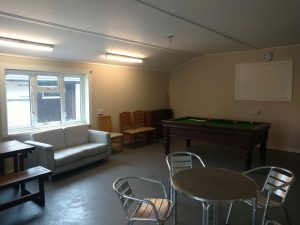 The Games Room has a pool table (free to play) as well as a selection of children’s games – including skittles. With tables and chairs , it is also a great place to sit to get out of the heat (or rain) for a while. There is a collection of leaflets and booklets describing many of the attractions available in the Forest of Dean and Wye Valley to help you to plan your activities.